It is based around the original engine shed and depot to which have been added a typical branch line with a country station and signalling demonstrations and a recreation of Brunel's original broad gauge trackwork. 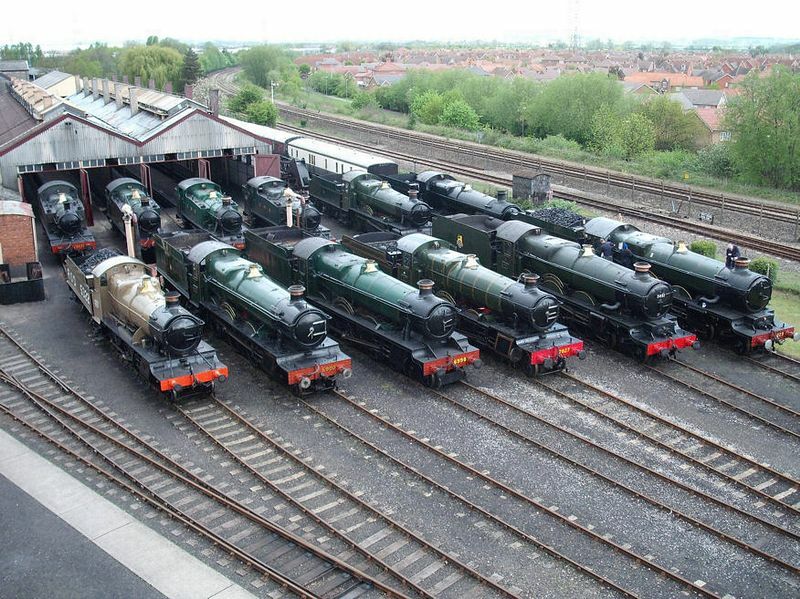 There is a large collection of GWR steam locomotives, carriages and wagons. On Steamdays and special events, the locomotives come to life, and you can ride in the 1930s trains on one or both of the demonstration lines. On special days during the year, ride behind Fire Fly, an exact replica of one of Brunel's broad gauge locomotives. 53 miles west of London, 10 miles south of Oxford. The Railway Centre is signposted from the M4 junction 13 and the A34, and is easily reached from the M40. Parking is readily available near the railway station. First Great Western Trains serve Didcot Parkway from London, the Thames Valley, Oxford, Bristol, etc. Access to the site through the rail station underpass.